Before Barcelona’s key clash vs. Villarreal on Saturday, Luis Enrique insisted that Real Madrid’ substitutes and squad depth were not the reasons Los Blancos were in the driver’s seat in LaLiga. Yet, the stats paint a different picture entirely. 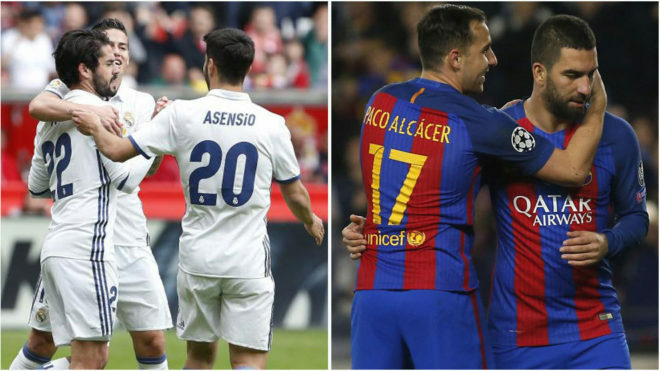 Real Madrid’s non-starters have scored a staggering 48 goals, which amounts to 40% of their total all season, while for the Blaugrana it is just 27 strikes for 21%, a notable drop. Also, key are the differences in playing time, as it shows how Zinedine Zidane has trusted his squad players far more than his Barcelona counterpart. Real have granted 16,243 to the Catalan club’s 12,853, again a significant difference. Overall, leagues are decided on fine margins but the difference in squad planning have had a major impact on this year’s LaLiga title race.